Exceptional teaching, outstanding facilities, and wide-ranging academic and welfare support services are central to Global College Australasia’s educational philosophy. This qualification of Certificate III in Commercial Cookery reflects the role of commercial cooks who use a wide range of cookery skills. They use discretion and judgment and have a sound knowledge of kitchen operations. They work with some independence and under limited supervision and may provide operational advice and support to team members. This qualification provides a pathway to work as a commercial cook in organisations such as restaurants, hotels, clubs, pubs, cafes, cafeterias and coffee shops. Learning includes training in a classroom and learning at home. • 36 complete service periods which is achieved at the work placement. The work placement exposes students to practical training in a real workplace. Students will need to take public transport to reach these facilities. 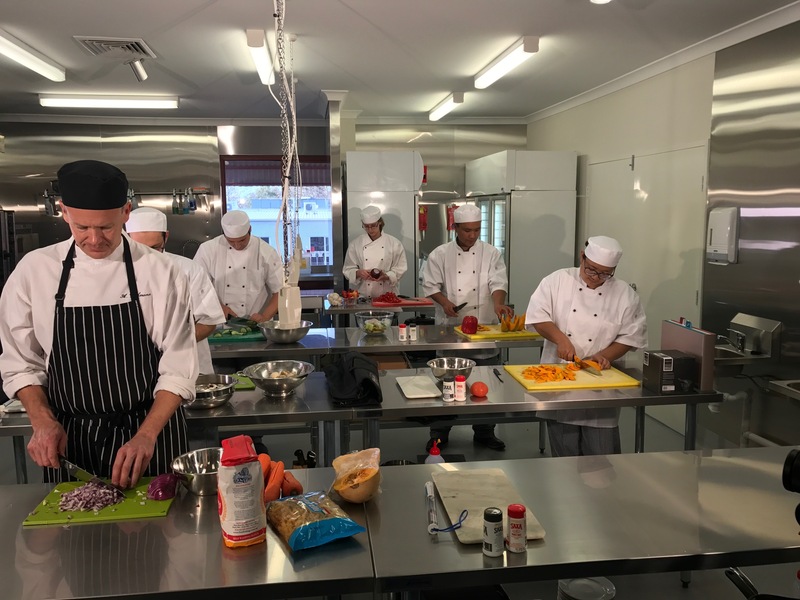 This qualification provides a pathway to the Diploma of Hospitality Management, which is reduced to a 26-week course if you have completed Certificate IV in Commercial Cookery. Please note that overseas health cover (OSHC) is compulsory for students on a student visa. We can assist you in obtaining this health cover through Bupa or other providers. All international education providers in Australia must comply with the ESOS Act and National Code. GCA adheres to the code and as such, is in full compliance with the code’s requirements. For more information on ESOS please click here .